In a future world that has been seemingly ravaged by war and poverty there exists a myth of hope – a forbidden place known only as the Zone, the heart of which, if reached, grants one’s innermost desires and wishes. A writer and a professor hire someone known as a Stalker – a guide who knows how to navigate the treacherous and confounding path that leads to the centre of the Zone. 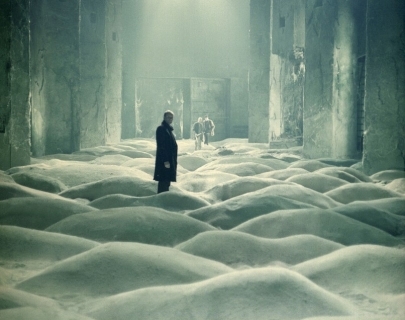 Considered by many to be Tarkovsky’s magnum opus, Stalker mingles science, metaphysics and speculation.